We handle a very nice chrome Auto. Trans. Shift T-Handle for the Mustang. Originals are often scratched and/or pitted, so this is a very popular part. For years, only one style of chrome handle was available. 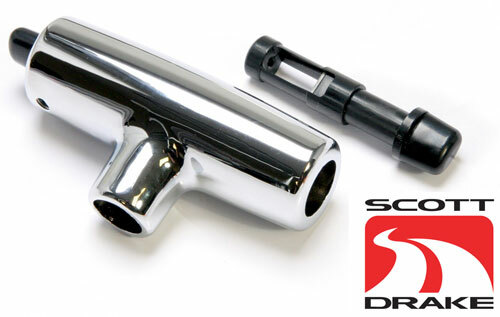 It is really the 65-67 version, but it works just fine on all 64 1/2-73 Mustangs. This handle is made by Scott Drake Mustang, and is a super nice reproduction. The 69-73 Mustang T-Handle is a bit bigger and beefier. Scott Drake just came out with this one too. 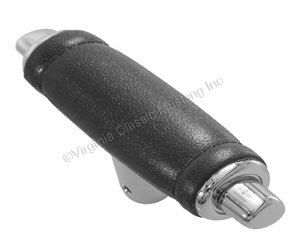 Don't forget that we also have the exact reproduction of the 68-69 Mustang Handle found in the Deluxe Interior Models. This handle will also fit all years. Keep in mind that all of them will fit any year handle. We just wanted to make a short, quick post today and wish all of our readers and customers a Happy New Year! We will also remind you that this is the last day to receive our 10% discount by using the code holiday2010. 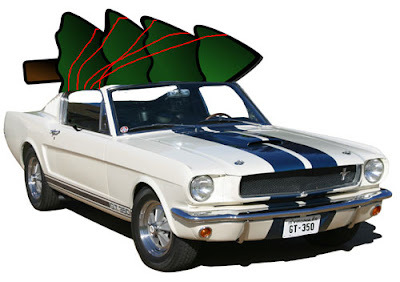 Just in case Santa did not get you what you wanted for your 64 1/2-73 Mustang, you can just get it for yourself and save a few bucks at the same time. Thanks for reading our Blog. 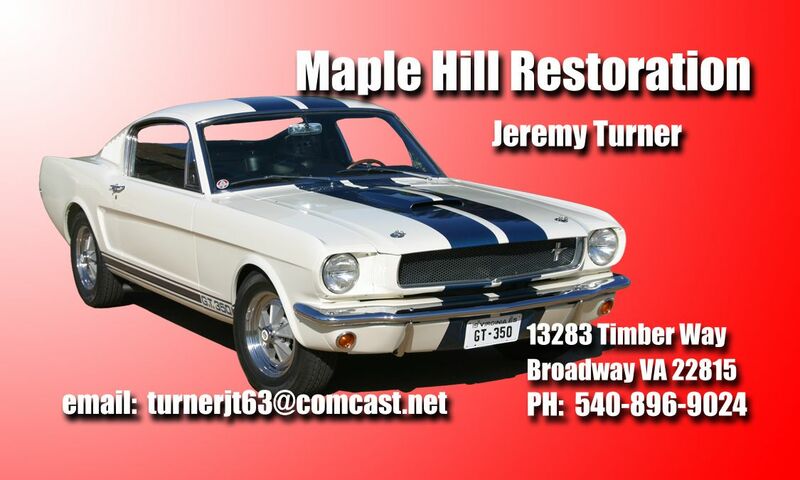 Some of our most popular posts have involved our 65 HiPo Mustang Convertible restoration. Look for more updates as we get close to wrapping that project up. After that, we will start our new project - a carryover 1966 GT350! 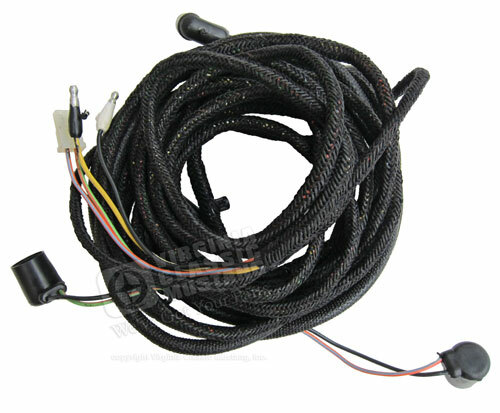 Several months ago, we made a run of the 65 Mustang Tail Light Wiring Harnesses without the Back Up Light Wiring. These went over very, very well, and we sold them all. The Fastback versions were particularly popular among the Shelby guys. We decided to make another run, so we now have more in stock. Back up lights were an option on the 1965 Mustang. 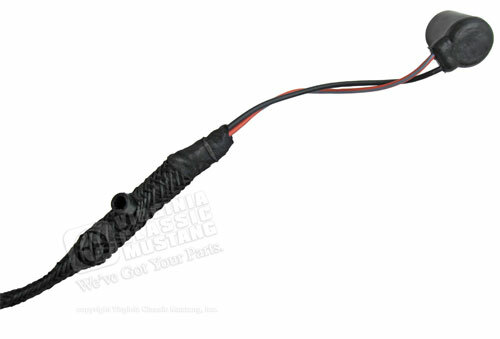 For some reason, the Mustangs that were not equipped with this option actually received a different tail light wiring harness from the ones equipped with back up lights. On the cars without the lights, there was no wiring put in the harness for the back up lights. With more folks wanting to really get the correct details on their restoration, we decided to make a limited run of harnesses exclusively for us that are correct. We are really pleased with this wiring harness. It includes all of the correct little details along with the properly integrated plugs to plug into the tail light bodies like the factory assembly line harness. The first one will be installed in our early 65 HiPo K Convertible project that you can read about right here on our Blog. Little details like this really make a restoration. 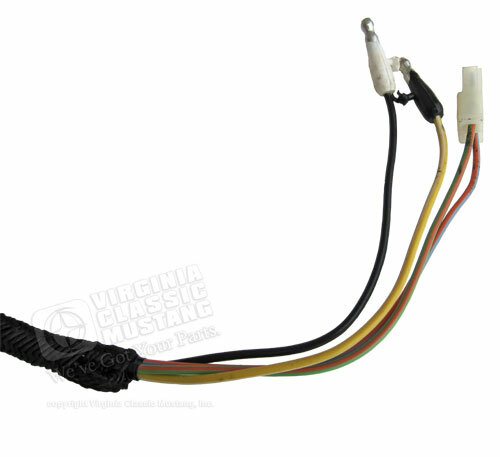 Again, this wiring harness is correct for all alternator equipped Mustangs without back up lights. This would include all of the 65 GT350 Mustangs (Shelbys) and the early 66 GT350 Carryover cars. None of those cars were originally equipped with back up lights. We want to wish all of our customers and their families Happy Holidays and a great New Year! We will be closed December 24th and 25th. We will also be closed December 31st and January 1st. You can, of course, continue to place orders on our web site anytime. We also want to remind you about our 10% holiday2010 coupon code. It expires December 29th. Hershey, PA (December 20, 2010). Carroll Shelby is an icon of the automotive world. For over 50 years his name has served as a virtual synonym for the term “automotive performance.” Shelby began his career as a race car driver and before being forced to retire due to health reasons, won the prestigious 1959 24 Hours of LeMans driving for Aston Martin. Although he was twice named Sports Illustrated’s Driver of the Year (1956 and 1957) he is much better known worldwide for his work in his second career as an automobile builder. From his first project that combined the British built two-seat AC Bristol with a Ford V8 to create the “Cobra,” to his current partnership with Ford, Shelby has always had his sights set on building the ultimate American sports car. Along the way he has created a long line of popular and extremely successful street and race vehicles bearing the names Cobra, Daytona Coupe, GT40, GT350 and GT500 Mustangs and the Chrysler Omni GLHS. Beginning on February 11th this compelling story will be told at the Antique Automobile Club of America (AACA) Museum through the special exhibition, Shelby: A Retrospective. The exhibition will feature approximately 18 cars representing the manufacturers and body styles that chronicle Shelby’s history as a sports car manufacturer and performance tuner. The exhibition will include cars from all phases of Shelby’s career. We will have an example of the first car to bear his name - the two-seat English made AC Bristol that he imported to the States, outfitted with Ford’s 260 and 289 cubic inch V8s and successfully sold and raced as the AC Cobra. Shelby continued with larger-engined versions of the Cobra while also turning his attention to the Mustang. 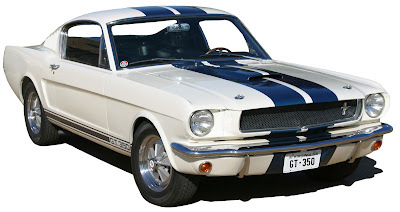 From 1965 to 1970, specially modified Mustangs bearing the names Shelby GT350 and GT500 were produced either in his shop or by Ford under licensed contract. Outstanding examples of all of these cars will be included in the exhibition; including a car owned by Chuck Cantwell who was the project engineer and test driver on the 1965 though 1967 GT350s and GT500s. During the mid 1960s Shelby was extremely active in motorsports racing. His cars competed and scored major victories in venues as diverse as the Trans Am series and major drag racing series. He was also a part of Henry Ford II’s all out campaign to best Ferrari and win the 24 Hours of LeMans, which culminated in the 1967 victory with the GT40/MKIV. A 1968 Mustang Coupe Trans-Am Car is among these highly desirable competition vehicles acquired for the display. Shelby continued with personal projects throughout the 1970s then partnered with the Chrysler Corporation beginning in 1983 for a host of special performance production cars such as the Shelby Charger, Daytona Turbo and the Omni GLHS. During his stint with Chrysler he was also part of the team that designed the Dodge Viper. In 1999 he built his first ever completely new vehicle, the Shelby Series 1, a roadster powered by Oldsmobile’s 4.0L engine. In 2004, Shelby rejoined Ford for a new generation of GT500 cars based on the retro Mustang. This partnership is still active and will be represented in the display. Our tribute exhibition will also tell the Shelby story through an historical timeline supported by graphics, period photographs and large collection of memorabilia specially gathered for this display. Specific items include the hand painted original sign from the California Fabrication Workshop, Team jackets Team shirts and the like. We plan to make this the most inclusive Shelby tribute ever assembled by a museum. Another unique aspect of this exhibit will be “Hi-Performance Motors” our re-creation of a 1965 Era Ford Dealership Showroom complete with 1965 Ford product literature. On April 17th, we will continue the celebration by hosting an All Ford Gathering featuring the cars of Carroll Shelby. 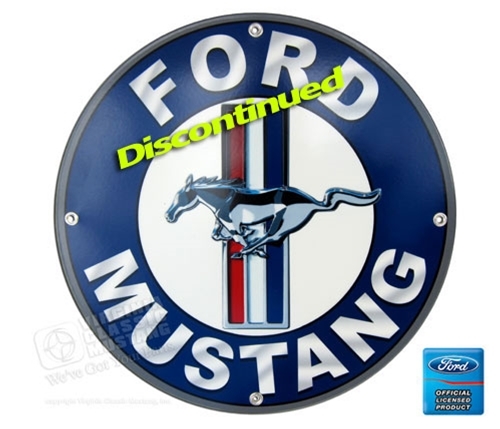 This takes placed on the 46th Anniversary of the introduction of the Iconic Mustang. Anyone with a Shelby-built vehicle, Shelby tribute car or Ford Mustang is invited to participate in this event. The participation fee will be $10 per car and will include one admission to the AACA Museum to see the exhibit and a commemorative dash plaque. Shelby engineer and test-driver, Chuck Cantwell, will be a featured speaker. Registration and additional information will be available in early 2011. We just got in a large shipment of Mustang Car Covers. We have Car Covers for just about every application and budget. 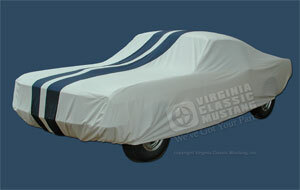 Our TriGuard™ Car Covers are our most economical Car Covers for your Classic Mustang. A 3-layer custom car cover material suited for light weather conditions (perfect for occasional use or Mustangs stored under a carport). Triguard™ is fairly soft and very compact. Do not use Triguard™ in harsh weather or sun. Triguard™ is also not suited in areas with industrial fall out (acid rain). Good protection at an affordable price. The next step up is our 4 Layer Car Covers. Four layers make Coverbond 4™ a very thick Custom Car Cover. The fabric provides breathability, protection, water resistance, and UV protection. The extra bulk helps to guard against minor nicks and dings, and even helps in light hail. Coverbond 4™ is suggested for moderate weather or indoor use. 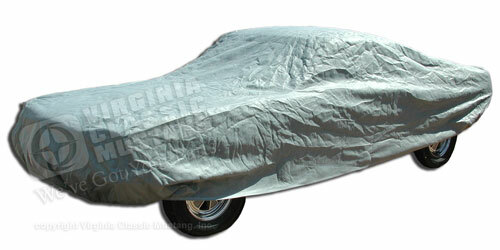 Our most popular Car Cover is our Mosum Plus™ Car Cover. Mosom Plus™ is a four-layer material that is a great choice for your Classic Mustang. The outer two layers are Spunbond Polypropylene, the middle layer is a special micro-porus film and the inside layer is super-soft fabric. The middle layer is an excellent rain barrier, while allowing vapors to pass through. The special cotton flock inner layer pampers the most delicate paint finish. It is for all-around car cover use, suggested for most conditions except extreme sun, snow or ice. Mosom Plus™ is a non-woven material, so in the unlikely event a rip occurs in the material, it will not run. This cover replaces our Noah Car Cover. The Mosum material is slightly better than the Noah material. If you are looking for the best outdoor Car Cover for your Mustang, we recommend our StormProof Car Cover. This is the ultimate outdoor car cover! The Stormproof™ provides the best protection for your Classic Mustang against rain and sun. It is also extremely compact making it easy to roll up and store. Like all of our covers, it will not scratch even the finest paint finishes. The material is made of microscopic yarns that make up the advance micro-fiber material. It is important to note that this is an UNCOATED and UNTREATED material. That means that after months or years of use, it will still retain its original water resistant properties. This also makes the cover the most BREATHABLE cover available. Gray color. Call for other colors that are available by special order. Finally, available as a special order, is our soft, satin stretch Car Cover with custom Lemans Stripes. This car cover is made for the Classic Mustang that is parked indoors, and for owners who want nothing but the best for their vehicle. The material has Lycra fibers for stretch in all directions, hugging and mirroring every perfect contour of your car. The inner liner is the softest fleece we've been able to find - specially designed not to rub off on convertible tops. This cover is specially made in White with Dark Blue Lemans Stripes. Other colors are available. I found this on the internet and tweaked it a bit. I don't know the author (sorry), but it is pretty cool! 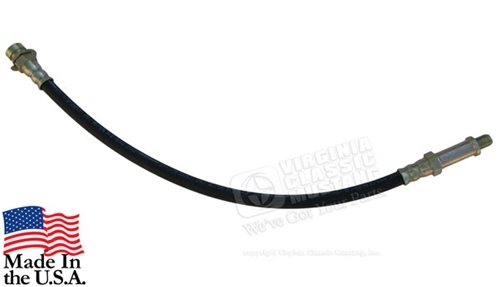 We now have the correct appearing Front Disc Brake Rubber Hose for all 1965 and 1966 Mustang and GT350 Shelbys with the front disc brake calipers with 3/8" inlets. This hose is the exact style. It features the correct end that screws into the caliper and the correct gold plating. DOT approved. DOT approval now requires the double crimped fitting. Please note that the originals had single crimps. This old single crimp method would no longer meet DOT approval. This hose fits the RH or LH side. They are sold each-2 required per car. Our part number is BK-1001. 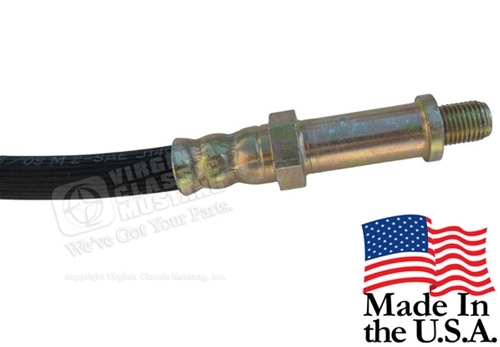 If you just want a perfectly functional brake hose for the same application, we still have the cheaper replacement style hoses also. Our part number on this hose is BK-100. 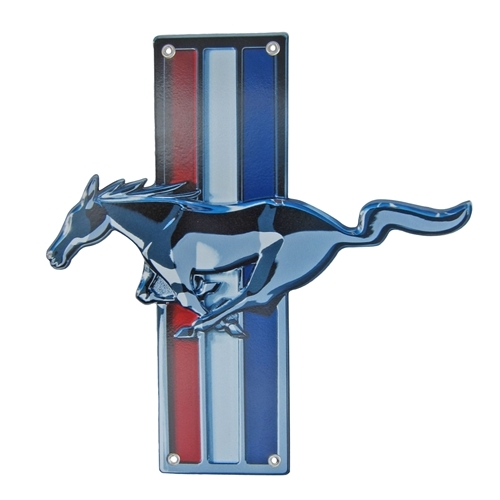 Mustang and Shelby Metal Signs Make Great Gift Ideas! Our new metal signs have been the big gift "hit" for this Christmas season! They are made from heavy gauge powder coated steel with images embedded in vibrant colors. This is still one of my favorite Rat Fink designs of all time!! "Mighty Mustang"
﻿﻿﻿ We just wanted to mention them in this post, since we have a very low stock on some of the Shelby styles. Because of this, we are encouraging you to order soon if you wanted to get them by Christmas! Click here to see the entire selection. Today, we have a few more pictures of the 65 Mustang HiPo Convertible project. The dash is pretty much completely together, and it should not be long before the engine and transmission goes in. 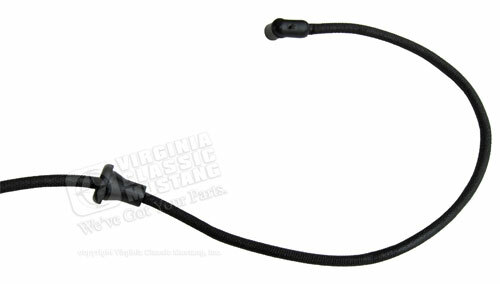 10% Discount Coupon Code for your Classic Mustang Parts! *Code Discount does not include 65-67 Styled Steel Wheels, Wheel and Tire Packages, Gift Certificates or E-Book Downloads. This code only applies to online orders. Expires December 29, 2010. Here's another update on the 65 HiPo Mustang Convertible Project. Once we put together a few more pieces for the fuel system and the front suspension, we should be ready to install the engine and transmission. They will be installed before the front end sheet metal goes back on. I've got more posts and pictures coming up soon!!! ...stay tuned! Jeremy at Maple Hill Restoration did the paint work on this. 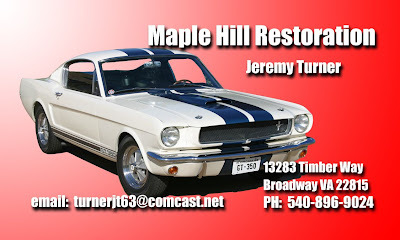 He also does the restoration work on the 1965 Mustang 289 HiPo convertible that is featured on our Blog. He will soon start on our Carryover 1966 GT350 Shelby. You can contact Jeremy here.